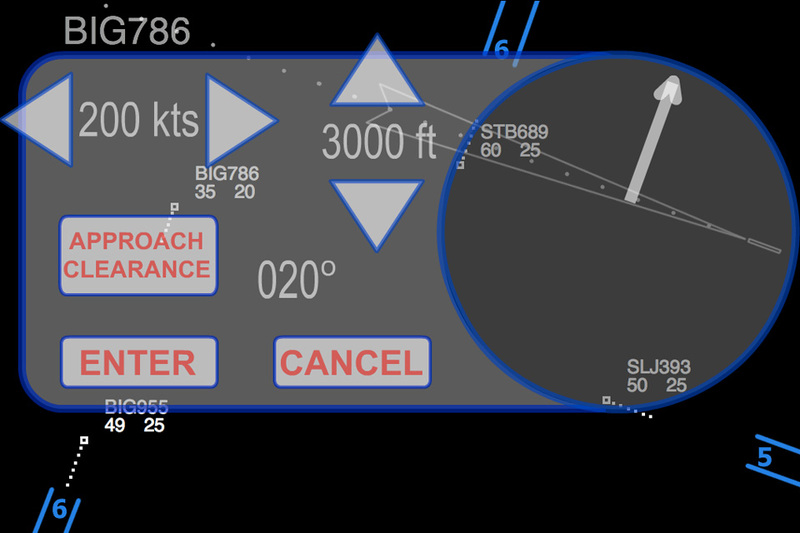 Approach Control is now available in the Apple App Store! Those of you who have tried our earlier games will recognize this app right away. In 2008 we published “Radar Game”, which was really a game without a name. We’ve given this game a name, plus an additional level. 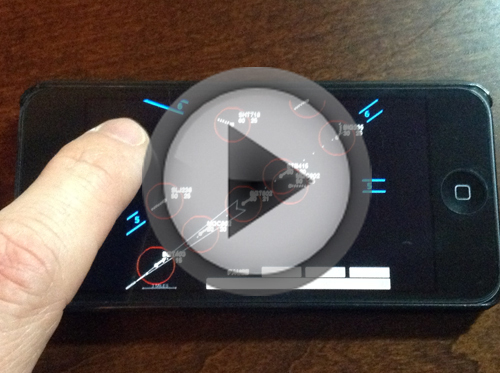 If you don’t have an iPhone or iPad, you can get Approach Control on PC, Mac and Linux here. Approach Control is a highly realistic air traffic control simulation, designed by real world air traffic controllers. It uses authentic pilot voices. This app is designed to give aviation enthusiasts a taste of the world’s greatest job. The radar behavior in this app is identical to that of real-world air traffic control radar screens, utilizing a 3-second sweep that air traffic controllers are accustomed to. Much work has been done to make such a complex job fit inside the palm of your hand. You are the approach controller whose job is to manage arriving passenger jets at various busy airports. Establish arriving aircraft onto ‘final approach’ as safely and efficiently as possible. As in the real world of ATC, you must walk a very fine line between being cautious and being expeditious. A top notch air traffic controller knows how to bring planes in ‘tight’, without breaking the ‘three mile rule’. Those of you who have played our earlier games may remember one called “Air Traffic Controller“. This was a very basic radar game, focussing only on vectoring arrivals, the toughest real-world ATC job there is. When we created this game in 2008, we were well aware of the issue of screen space. It’s hard to cram an entire air traffic control experience onto a home computer. A couple of months ago, we began selling Radar Chaos on the iPad App Store, with absolutely no intention of ever putting it onto iPhone, because it’s impossible to play on something so small. That got us thinking. 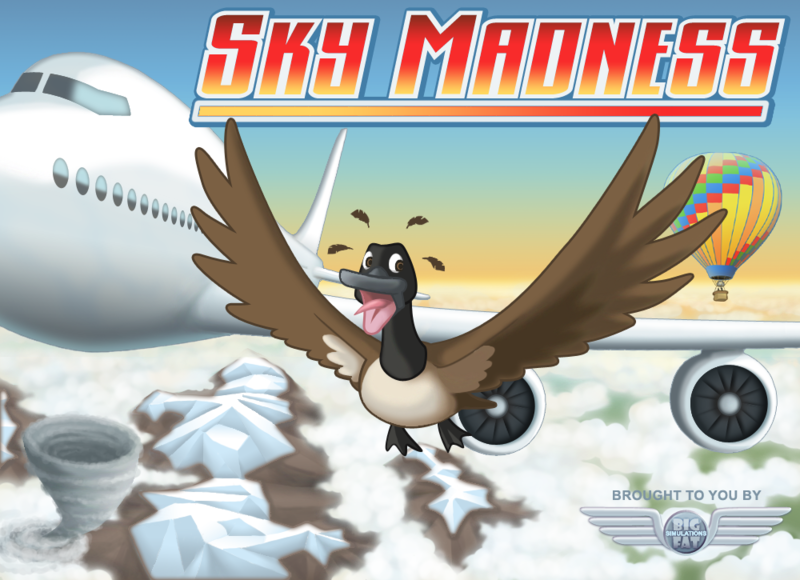 Our original “Air Traffic Controller” game was designed with the small-screen concept in mind. All it needed was some reshaping to work well on an iPhone. So we did that over Christmas, and even tossed in a fourth level. When it was given to me for review, I absolutely hated it. The buttons were impossible to tap. The planes were difficult to select. And the heading control wheel was annoying. Maybe my fingers are too big, I dunno. So we decided, instead of pushing the control panel off into the corner and making it really small, we would make the panel extra large. Huge, in fact. When an aircraft is selected, you get a full-screen control panel. The drawback is that you can’t see your radar screen very well while making inputs, but it’s a fair tradeoff. So now we have a bit of a dilemma. A new iPhone/iPad game that is basically a refactored version of an old flash game. Do we give it a new name, or call it what it is? Since it’s name is “already taken” on the iOS app store, it’s getting a new name, “Approach Control”. This eliminates our dilemma of having to synchronize the two games every time we push out an update. Look for “Approach Control” on January 15, 2013!